Kevin Lawrence is a fitness and nutrition expert and the CEO of Power Crunch, a line of great-tasting "smart" protein products. He is a former IFBB World Bodybuilding Champion and renowned speaker and writer who is knowledgeable in exercise physiology and applied nutrition. Getting high-quality protein in your diet throughout your lifetime can be the key to a more energetic, healthful life. We have about four trillion cells that individually perform the same nonstop daily functions, including respiration, replication and elimination. Our cells use over 100,000 proteins to help build muscle, skin, neurotransmitters, organs, glands, hair and nails. Proteins are the structural materials of almost all tissues in the body. One way to think of your body is that your are literally a protein machine, absorbing, dismantling, utilizing, synthesizing and reusing proteins 24 hours a day. Proteins are also the “language” of life, as all cells, organs and tissues use proteins to “speak” to each other in order to keep your body running smoothly. It’s no wonder this daily life-giving activity of protein is responsible for roughly 50 to 60 percent of our daily caloric requirements! Animal tissue is protein-rich, with approximately 75 percent average dry weight as protein versus 30 percent average protein content for lower-energy plant foods. Animal-source proteins like dairy, meat, fish, poultry and eggs contain all essential amino acids in meaningful quantities. In general, this makes them more anabolic (for maximum protein synthesis) than plant proteins (based on an ounce per ounce comparison of individual food sources). Animal proteins also contain carnosine, an important metabolic compound not found in plant proteins. Red and organ meats are great sources of essential B vitamins and minerals as well. Peas, rice and most other plant proteins lack one or more amino acids (also called “essential” amino acids) such as lysine, methionine or tryptophan, which our bodies need. However, leafy greens and cruciferous vegetables like spinach, kale, field greens, grasses and sprouts contain peptides that are critical for certain metabolic functions. Plus, all plant foods contain a vast array of phytonutrients (plant nutrients) that are key for chronic disease prevention. While animal foods do contain all essential amino acids, you can also obtain all essential amino acids through a properly balanced vegetarian or plant-based diet. Why Do I Feel Bloated After Eating Protein? Food proteins are large molecules composed of between a hundred and several hundred amino acids. All protein must all be broken down to single amino acids or, preferably, the smallest peptides (containing just two or three amino acids) in order to be absorbed into the blood. Protein that is incompletely broken down will be consumed by gut bacteria, causing that infamous gas and bloating you experience after a large protein meal or after eating beans or insufficiently cooked vegetables. Daily requirements are determined by individual variables like age, lean body weight and activity levels. Another factor is the quality of the protein: Small portions of dairy, meat and fish will provide more energy than protein from soy, grains or nuts. I suggest a baseline of 0.5 grams per pound of (lean) body weight per day for a reasonably healthy but inactive person. For example, a man weighing 175 pounds would consume around 85 grams per day, while a woman weighing 130 pounds would have a target of 65 grams per day. (It’s important to note that these figures presume high-quality protein that is easily absorbed). Healthy athletes exercising five days a week or more would likely do well with double that number. 1. Eat protein with every meal, especially with breakfast. More frequent, smaller meals throughout the day are the healthiest option. 2. When eating whole proteins, don’t exceed 30 to 40 grams per meal. This rule is not necessary with hydrolyzed whey protein found in nutrition bars, protein powders and ready-to-drink protein shakes. Look for “hydrolysates” on the ingredient label. 3. Protein digestion requires vitamins, quality dietary fiber and other nutrients for maximum absorption, so eat fresh fruits and leafy greens and other colored vegetables. If these aren’t available, add vitamin/mineral/antioxidant supplements to your daily regimen. 4. Keep the liquids at a minimum during the meal, as that will allow the stomach to get its job done with the least amount of acid production. 5. Don’t eat protein two hours before exercising. Protein digestion will detract from the energy and other metabolic resources the muscles, heart and lungs require. But again, this rule is unnecessary for hydrolyzed whey proteins, which may be consumed up to 30 minutes prior to exercise. Do you eat protein with every meal? Do you eat mainly animal or plant proteins or both? Do you ever feel bloated after eating protein? Do you have a strategy for consuming protein? Leave a comment below and let us know! Can the Body Produce Protein? 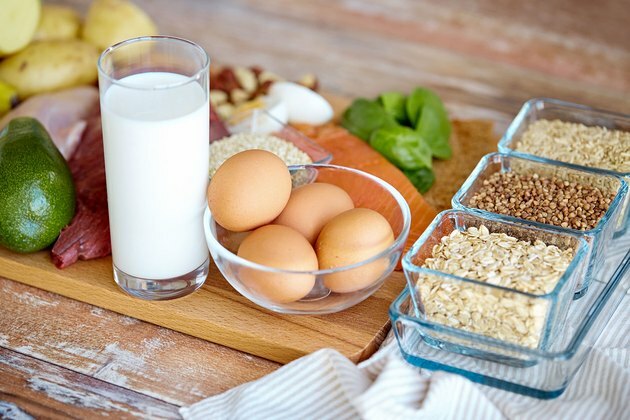 What Can You Do to Help Break Down Protein in Your Body? 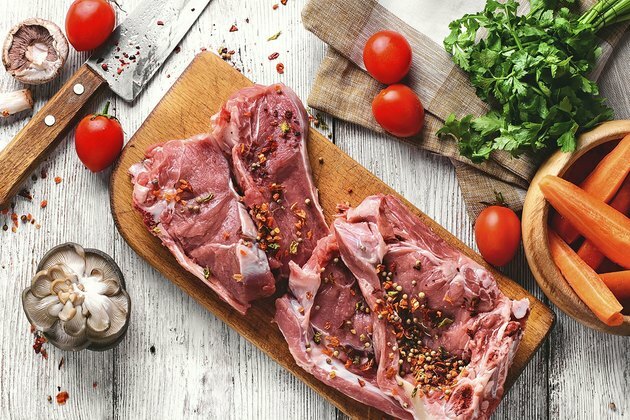 How Much Protein Per Day for Weight Loss? How Much Protein Can Be Digested Per Hour? How Many Grams of Protein Can Your Body Absorb in One Sitting?